The U.S. Air Force Test Pilot School is accepting graduate applications through July 31 for the Air Force Institute of Technology in-residence engineering Ph.D. program. The primary purpose of the program is to ensure the TPS curriculum and research programs reflect the state-of-the-art education in aeronautical science and to create a cadre of officers who combine current flight test experience with a high level of theoretical knowledge. The TPS Ph.D. program is open to all active-duty Air Force officers who meet the eligibility criteria; interested officers should also contact their Air Force Personnel Center core assignment team and obtain a release to compete prior to submitting an application. For eligibility and application instructions, search the keyword “graduate” on the myPers website. Nearly half of people with a treatable behavioral health disorder do not seek help from behavioral health professionals, according to the Department of Health and Human Services. However, 80 percent of this population does visit a primary care manager at least once a year. An Air Force program seeks to bridge this gap by providing behavioral health care in a primary care setting. The Behavioral Health Optimization Program integrates behavioral health personnel into primary care clinics to provide “the right care, at the right time, in the right place.” Beneficiaries with behavioral health concerns can seek care directly through their primary care manager. Issues such as compounding stress can lead to depression, post-traumatic stress disorder, or general anxiety disorders. Often times, problems resulting in adverse mental health effects can be addressed by primary care providers through the support of behavioral health services. “We are there to address the concerns that would have otherwise been brought to the primary care manager,” said Maj. Elizabeth Najera, Air Force Medical Operations Agency program chief. For instance, when a patient suffering severe headaches sees a primary care manager, it is determined whether the patient needs to be referred to neurology or requires additional examination from primary care. BHOP visits function in the same manner and patients are screened to help identify the right level of care. As the threat of infected mosquitoes reaching the U.S. climbs, the Air Force continues to closely monitor the emergence of Zika virus infections to help inform and protect Airmen and their families. Col. (Dr.) John Oh, the Air Force Medical Support Agency’s chief of preventive medicine, explains that Aedes mosquitoes primarily transmit Zika. Unlike other mosquitoes, Aedes mosquitoes are aggressive day biters but can also bite at night. Almost all cases of Zika virus infection within the U.S. have come because of a mosquito vector obtained through living and traveling in Zika-infected areas, the colonel said. “The number of countries and territories with Zika transmitted locally is growing. There are more than 45 now, including countries in Central America, South America, the Caribbean, Asia and Africa,” he said. For the first time in its history, the Air Force on June 2 activated a unit solely dedicated to train the service’s ground component at Joint Base San Antonio-Lackland. The unit addresses the growing need for “fifth-generation warriors” who integrate air and ground operations on the joint battlefield. Members of the group will consolidate and streamline training for the Air Force’s conventional and special operations ground forces. These ground forces include combat controllers, pararescuemen, special operations weathermen and tactical air control party Airmen. The group’s leadership aims to improve processes and programs across five pillars: recruiting; manpower and leadership; equipment; infrastructure; and curriculum. The effort starts with successful leadership forging and developing Airmen for the battlefield, Stenger said. “Much like when the Air Force separated from the Army in 1947 to have Airmen lead airpower, this allows battlefield Airmen leaders to lead battlefield Airmen training across the entire enterprise,” Stenger said about the group’s activation. The group, a subordinate unit of the 37th Training Wing, replaces the 342nd Training Squadron and will lead five new BA training squadrons set to be activated later this summer. The squadrons consolidate and organize already existing training courses under BA leadership. The units include three pipeline squadrons dedicated to each career field; one instructor qualification and prep course squadron including advanced employment training such as military free fall; and a support squadron. 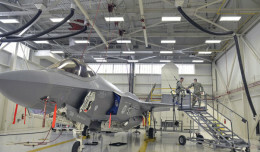 The activation of the group and the squadrons also aims to reduce costs and increase efficiencies across the pipeline to produce highly qualified battlefield Airmen. Now, trainees will permanently move from one unit to another as they complete training required by each individual squadron. Previously, a trainee would return to Joint Base San Antonio, which served as the hub between attending their lengthy schools.